Who the Owl is looking out for you! Feel safe in the dark with Who the Owl! This adorable little gift set comes with a cute little plush navy owl - made with 100% organic cotton corduroy and natural corn fiber - & the 'Who Lives in the Woods' Book. 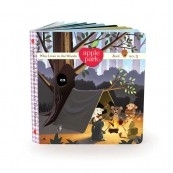 In this book the Apple Park Picnic Pals meet a new friend while camping at Cubby's home in the forest. The adorable night-loving owl, named Who, convinces Lamby and the other pals that there is nothing to be afraid of in the dark! A must have for toddlers beginning to concern themselves with what might be 'hiding' in the dark. 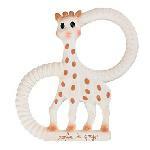 Buy Gift Certificates for your Favorite Parents to Be!